Former New York City Mayor Rudy Giuliani thinks that the ongoing probe into Russian interference with the 2016 U.S. elections and potential links between Donald Trump’s campaign and Moscow should itself be investigated. Giuliani, who joined President Trump’s legal team in April, told CNN’s “State of the Union” that former FBI Director Robert Mueller did not necessarily do anything wrong but that the probe he leads has become unethical and possibly illegal — calling for an investigation into its origins. “I believe that the Mueller investigation should be investigated, not because necessarily of Mueller, but because of its genesis in this very, very now completely almost illegal and unethical probe, this Russian probe, that began with Peter Strzok in charge. And he didn’t leave it until July of last year,” Giuliani said in an interview with CNN host Jake Tapper on Sunday. Peter Strzok, the FBI agent who oversaw the investigation into Democrat Hillary Clinton’s personal email server during her tenure as secretary of state, worked on the Russia probe but was taken off the investigation after his personal criticisms of Trump in text messages to a colleague were published. Tapper asked Giuliani to clarify whether he was in fact calling for a special counsel to investigate the special counsel — eliciting laughter from the Republican New Yorker. So, what should be investigated? According to Giuliani, there was a series of odd, unethical and illegal actions as the Justice Department shifted its focus from Clinton’s emails to Russian interference. Giuliani offered his opinion, citing Inspector General Michael Horowitz’s report, that the people handling the Clinton investigation had done “almost everything” incorrectly and are now focused on the Russia probe. 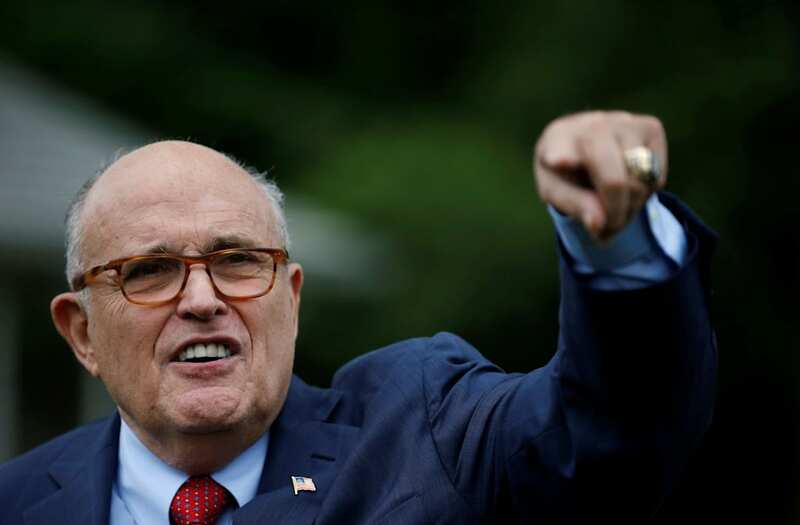 Echoing Trump, Giuliani said that the Russia probe was based on documents that former FBI Director James Comey had “illegally leaked.” Tapper countered that Horowitz concluded Comey did not break the law — a point Giuliani acknowledged without argument. Nevertheless, Giuliani supports the idea of having Horowitz investigate the origins of the Russia probe to determine whether it’s trustworthy.